During discussions of electoral results it was typically accepted that the results of some parties depend on voter turnout. The Homeland Union – Lithuanian Christian Democrats (TS-LKD) and Polish Electoral Action in Lithuania (LLRA) were typically identified as such parties; the lower the voter turnout, the better for the Conservatives and Poles. The latter party may actually fit the bill, as their electorate is “capped”, Lithuanians are unlikely to vote for it. That said Vilnius University Institute of International Relations and Political Science lecturer Mažvydas Jastramskis states that the Conservatives do not actually fit this sort of logic, quite the contrary, their results improve with greater voter turnout in the larger cities. In other regions this link is also visible, but not as obvious. Nevertheless, this only applies to the multi-mandate district. In the second round they benefit from lower turnouts because the logic behind voting is completely different. “I do not envy the party’s strategists,” Jastramskis quipped in the annual political scientists’ conference “Election year – a test for the government or democracy?”. “If it is confirmed that electoral rules adjust the activity effect this way, then it is beneficial to the Conservatives in the multi-mandate district, but harmful in the second round, when the party becomes a “hostage” of activity strategy – seeking victory in the multi-mandate district they need higher turnouts, while in the second round – lower turnouts,” the political scientist said, albeit noting that these are not final conclusions. 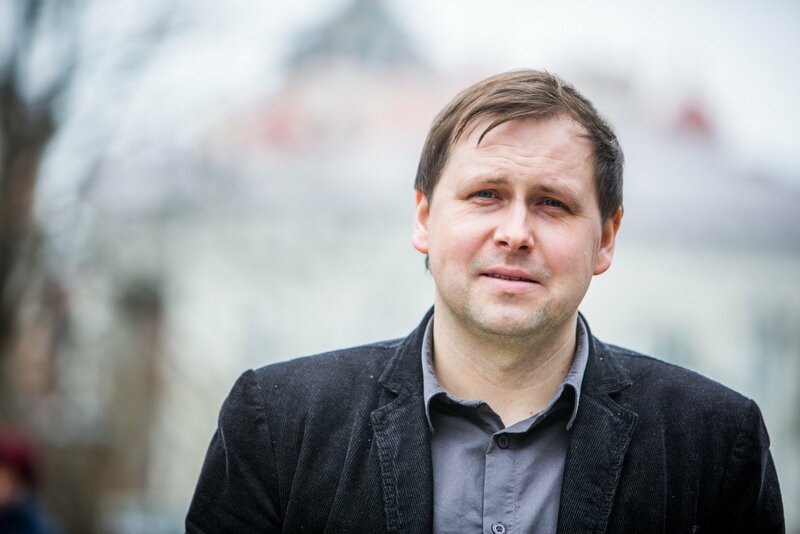 M. Jastramskis states that when comments are made regarding Lithuanian elections, it is typically believed that greater voter turnouts are beneficial for some parties and less so for others. No-one has attempted to investigate how true this actually is, not to mention that the fluctuation in turnouts is not large: in 2008 the turnout was 48.59% of the electorate, in 2012 – 52.93% and in 2016 – 50.64%. “So we divide those few percent into party electorates and what comes of it?” asks the scientist. Despite the low fluctuations, Jastramskis took up answering the question of which parties benefit from greater turnouts and which do not. “We have a special party in the form of the Polish Electoral Action in Lithuania. There is no other party in the world like this that would represent the interests of the Polish ethnic minority. They have a natural “cap”. That’s inherently obvious,” states the political scientist. “In the Lithuanian context we have often heard that lower turnouts benefit the Poles and the Homeland Union, while higher turnouts should benefit the leftists – Labour, the Peasant and the Social Democrats,” continued Jastramskis. A typical example is held to be the 2009 European Parliament elections. They posted only a turnout of 20.98% of the electorate. These were low turnout elections won by the Conservatives despite it being a crisis and austerity period. The question rises, is this case a confirmation of the prevailing opinion of low turnouts benefitting the Homeland Union – Lithuanian Christian Democrats? M. Jastramskis claims that through his research of the 2016 electoral results he has discovered some interesting things. In this election the Conservatives won in the multi-mandate district, but hopelessly lost in the second round single-mandate districts, while the second round posted lower turnouts than the first. This immediately contradicts the opinion that lower turnouts benefit the Conservatives. “My thesis is that turnouts (if we wish to speak of how many people turn up and who benefits) operate in tandem with context. We have to look at more than just how many turn up, but also where they go and who goes,” the political scientist explains. According to him on average those more educated, identifying with party identity, of older age and those with acquaintances who are interested in politics go to elections more often. Analysing the 2012 Seimas election results he observed that other than the Way of Courage voters, the people turning up at the elections were more positive about the majority of parties than those who didn’t turn up. Other than specific party evaluators (who came to vote or didn’t) will have those that supported the party subtracted, leading to some interesting factors: apparently of those who did not turn up to vote in 2012 there were those who viewed the Homeland Union – Lithuanian Christian Democrats more positively on average. “This shows that there was untapped potential that did not turn up to the elections,” says Jastramskis. The 2012 elections were not successful for the Peasant and Greens Union, but it was evaluated well among those who turned up at the elections. This could mean that in the 2016 election the Peasant Greens may have taken Social Democrat and Labour Party voters, perhaps also tapping into the Liberals’ potential. In an effort to uncover the Conservatives’ dependence or non-dependence on turnouts, the political scientist reviewed votes the party received at the district level, connecting it with the larger cities (Vilnius). “It is valid to say that in the province, turnouts act slightly differently than in Vilnius because the people living there are different. If in the province it is extra voters that show up, a slightly different structure appears than in Vilnius,” says M. Jastramskis. Another standout party is Order and Justice. Its coefficient is negative, meaning that as turnouts rise, the party’s vote basket shrinks. To explain the case of Order and Justice, Jastramskis muses that larger turnouts should not be harmful to parties based on clientele links. These connections mean that between the patron and his dependent client we witness a specific relationship – the patron provides services (employs, provides conditions to reach public services faster), while the client pays him (say, by voting as necessary). “But this is a very limited resource of voters who vote based on such factors. If more people turn up, such voters are no longer related to you and you completely lose. But this is a guess, by no means do I claim that this is the case, just that there are certain signs of it,” says the political scientist. The Peasant Greens’ results do not correlate with turnouts in any way. “In other words, in districts, including the cities, there is absolutely no link. This party’s votes did not depend on the turnout. Not at all,” said M. Jastramskis.